The Bockfest Parade will be held on Friday March 2, 2012. The parade will start to form in front of Arnold’s Bar and Grill, located at 210 East 8th Street, at 5:30PM and steps off on Main Street at 6:00PM. 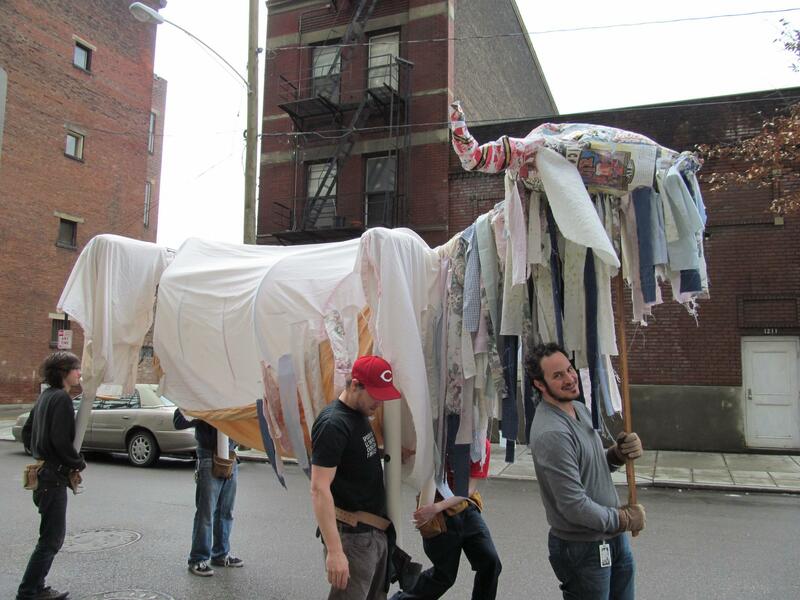 The Bockfest Parade is Cincinnati’s funkiest and most entertaining parade. It can be watched from the street or from a number of participating venues along the route. The Enquirer put together this primer and schedule for the weekend. As of this posting, there are still a few tickets available for the OTR Tour of Living and Historic Church Tours – this is a unique opportunity to see rarely seen parts of Over-the-Rhine. Bockfest is a celebration of historic Over-the-Rhine, Cincinnati’s brewing heritage and the coming of spring. What began as a small, loosely organized event that barely caused a blip on the radars of Cincinnatians has evolved into one of the region’s most unique and celebrated festivals. There are several bock beer festivals that take place around the world, but Cincinnati’s Bockfest is now the oldest and largest in the United States. It begins with a parade on Friday evening that starts at Arnold’s Bar & Grill, Cincinnati’s oldest saloon. The parade is lead by the reigning Sausage Queen and a goat pulling a keg of Bock beer. It ends at Bockfest Hallwhere the ceremonial first keg is blessed and Bockfest officially begins. The Hall is open throughout the weekend and features live entertainment, great food, historic walking tours, authors and breweriana, a homebrew competition, Continental Sunday celebrations and lots of delicious bock beer. Bockfest is not just limited to the Hall. It occurs in a number of participating venues in Over-the-Rhine and the central business district. Check out these photos from Bockfest 2011 here. Even more photos can be found in the Bockfest flickr group. Raise your glass, let’s drink some beer! And all of it is for the goats!